RX for Reading was thrilled to spend a gorgeous Wednesday at the Southwest Solutions Thrive by Five Family Fun Fair in Patton Park Recreation Center. We distributed over 350 brand new books to children and their families! Recent UDM alum Sarah Casnovsky (English major, Class of 2015) and School Psychology graduate students Beth Jordon and Jamie Reynolds helped kids pick out the perfect book and talked with parents about the value of reading together. Sarah Casnovsky poses with some of the amazing books we distributed. Jamie Reynolds with one of our popular picks. Beth Jordon is not only working towards her Psy-S at UDM, she is also single mom of four. At the Thrive by Five event she was able to bond with other parents over the value of storytime. Many of the parents were thrilled to find books in Spanish that they could share with their children, and Beth was able to talk with other moms about the adventures and fun that reading inspires. It’s never too young to read. Reading is a family activity. 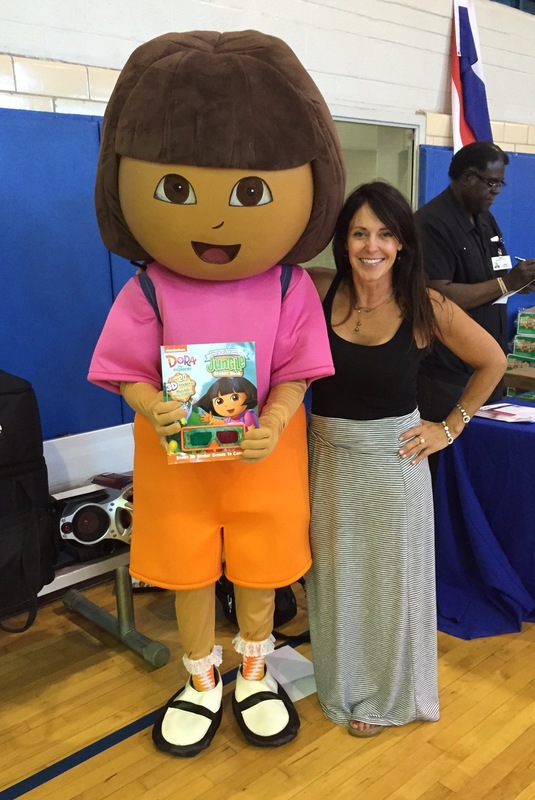 As Beth puts it, “if you learn to read and love it, the world and such rich opportunities are wide open to you!” Here is Beth and Dora the Explorer, with (of course) one of the Dora books kids could choose. Happy Summer Reading from RX for Reading Detroit!